3 With shining face and bright array, Christ deigns to manifest to-day What glory shall be theirs above, Who joy in God with perfect love. 'Twas springtide when He blest the bread,! And harvest when He brake. 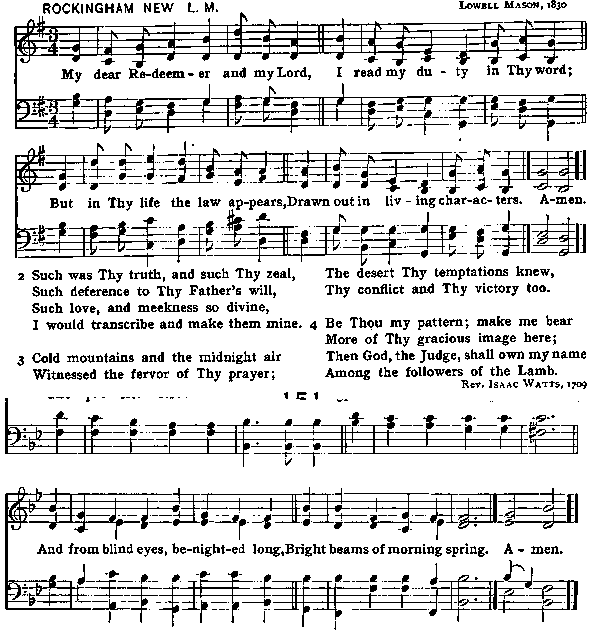 For which in joyful strains we raise The voice of prayer, the hymn of praise.! 5 O Father, with th' eternal Son, And Holy Spirit ever One, Vouchsafe to bring us by Thy grace To see Thy glory face to face.